CG PET Preparation Tips (छत्तीसगढ़ पूर्व इंजीनियरिंग टेस्ट तैयारी टिप्स): The CG PET stands for the Chhattisgarh Pre Engineering Test. It is a state level entrance test for all those students who want to pursue their college degree in engineering. All the students will require going through the written entrance exam of PET. The scores of the exam have its validation across all the colleges of Chhattisgarh. To achieve your goal all the students will require having some guidance on How to Prepare for CG PET Exam. 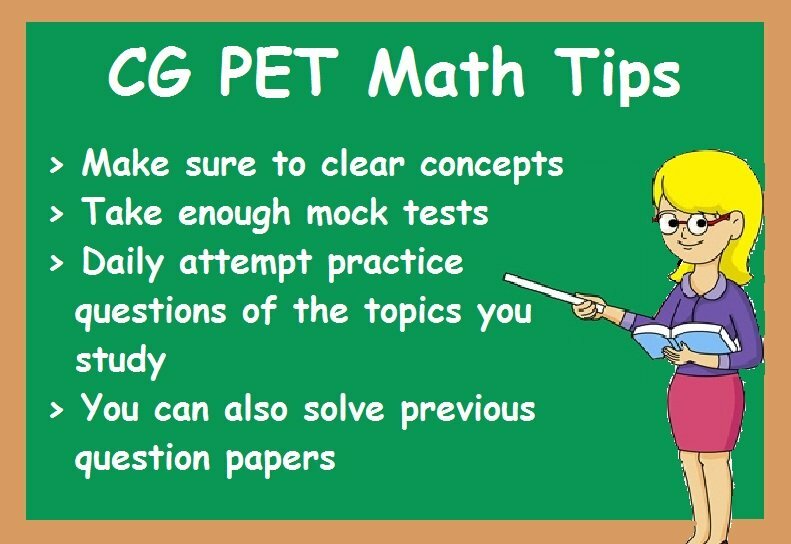 Here in this article, the aspirants of the exam can get Tips and Tricks for CG PET to make sure that they pass the exam. Clear Concepts:– Math is s subject full of formulas. The wholesome exercises of the exam are based on the formulas and their usage. Therefore, if the students will be able to get their concepts clear about the chapters it will be easy for them to lead on the derivations with practice. Solve Practice Papers:– The best advantage of solving the practice questions for this exam is that it gives you the brief idea of the basic concepts. Taking tests related to the subject after completion of each subject is a must Preparation Strategy for CG PET Exam. 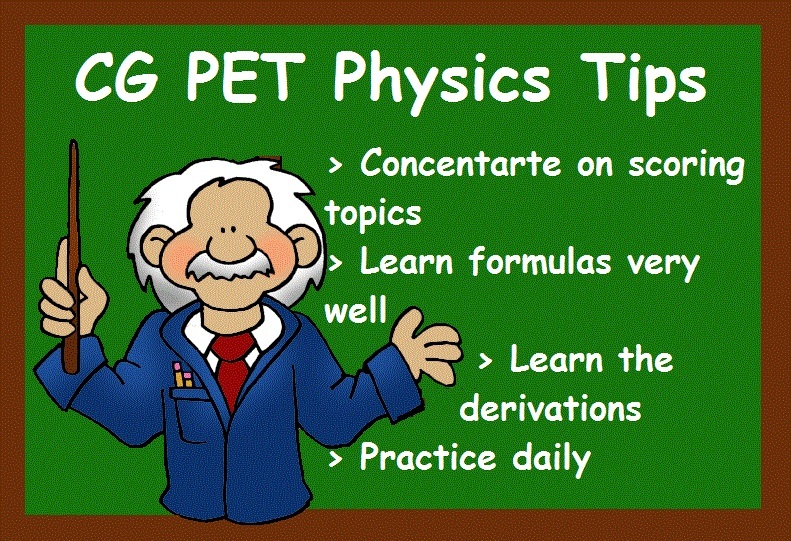 Learn Derivations:– The derivations in the Physics is the most important answering method. This not only helps in attempting the questions but getting a good hand on this is helpful for solving the questions. Cover the Scoring Topics: -The Mechanics and Thermodynamics are the common and important topics. 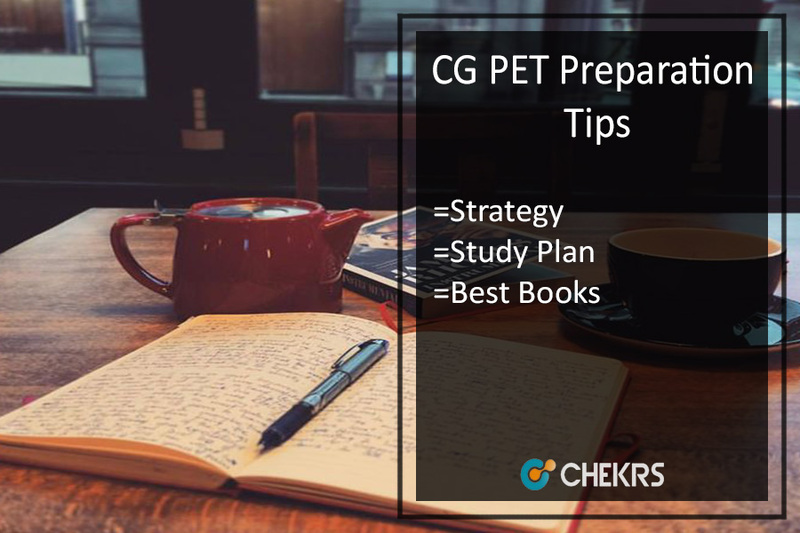 Cracking Tips for CG PET is that if you are well prepared for these sections it is likely that you can score 50% marks in any of the exams. Learn Formulas:– Just like Math, the formulas are also a key in Physics. Remembering them on the tips is the most important Tips for CG PET Exam. Practice:– This is the exercise most demanded all the time for all of the subjects. All of your efforts will go in vain if you haven’t practiced well. Work on Applications:– In the inorganic chemistry section the most important part is the processes and their applications. Working on this exercise will be half preparation done. Practice Reactions: The actions and their reactions is all that is asked in the chemistry. Regularly practicing the reactions, periodic table, mechanisms and problems related to them can be a great help. Refer to authorized CG PET Study Material pdf for getting concepts clear. 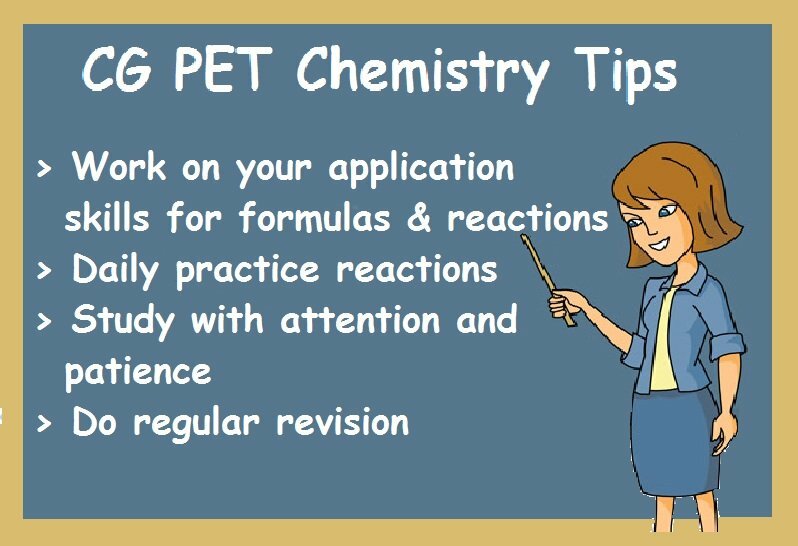 Revision: Chemistry is a very easy subject to score if you are able to perform it with good retention.